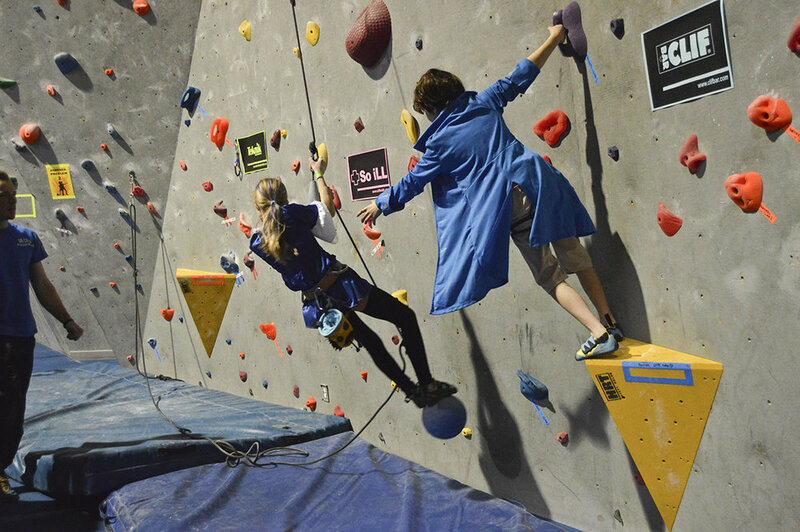 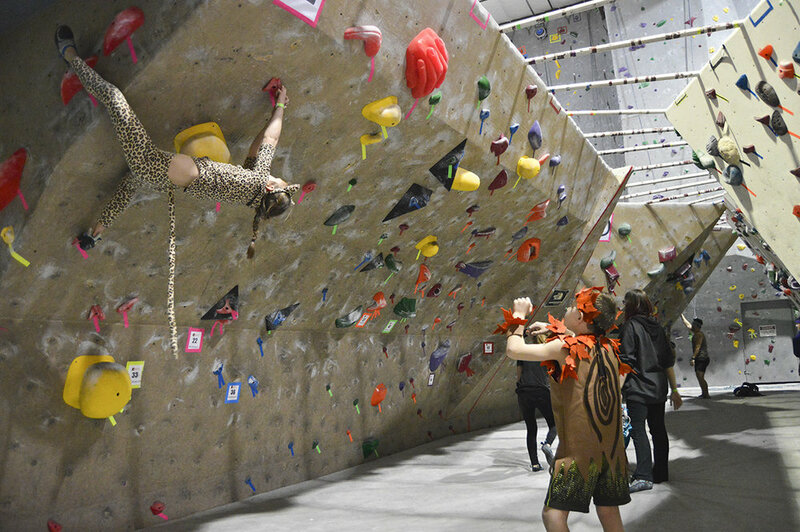 This past weekend nearly 100 climbers joined in an epic battle - of bouldering, route climbing, speed climbing, partner challenges and costume contest. 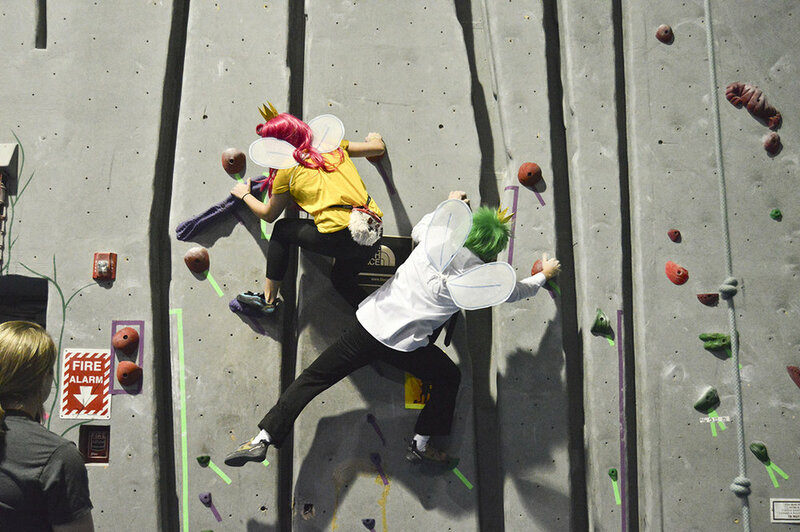 A huge thanks to the costumed competitors and partiers that joined us for our 2nd annual Partners in Climb challenge! 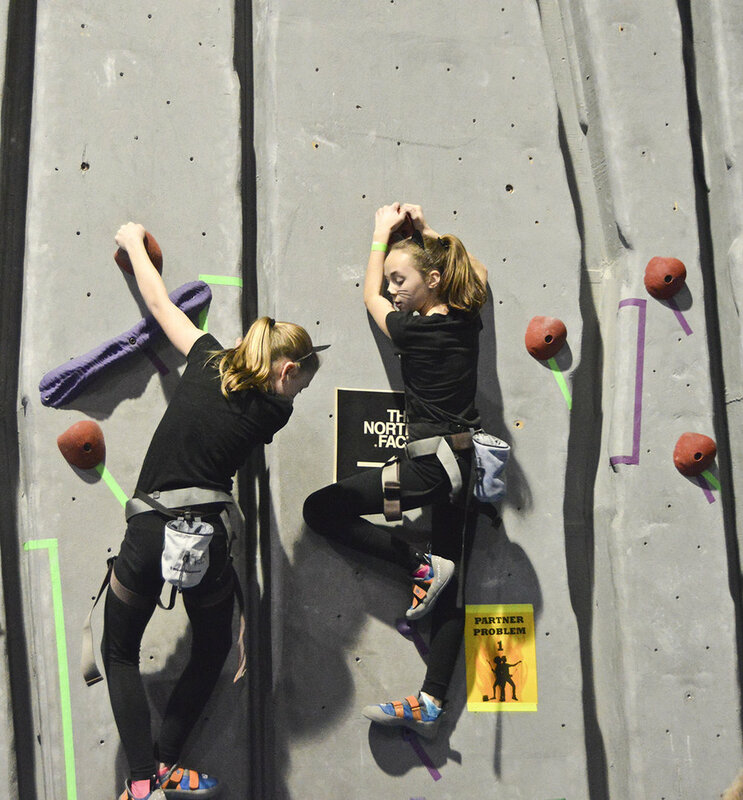 See photo gallery below and on our Facebook page. 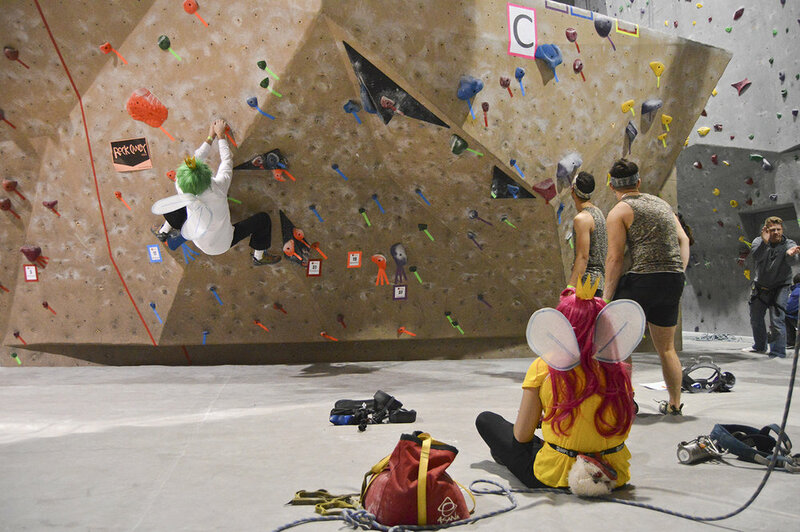 Teams were divided into three categories - recreational, intermediate and advanced. 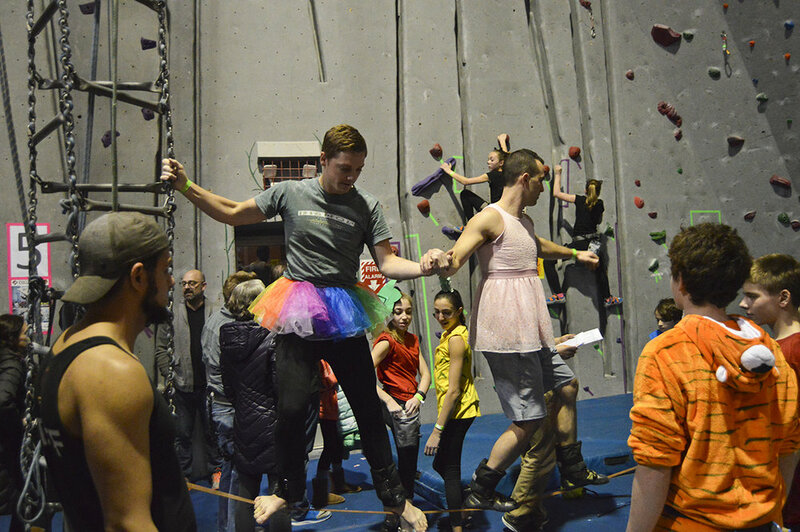 Final team scores is the sum of each partners top boulder problem, top route plus all the bonus points earned for speed climbing, costumes, partner challenges and team spirit tickets. 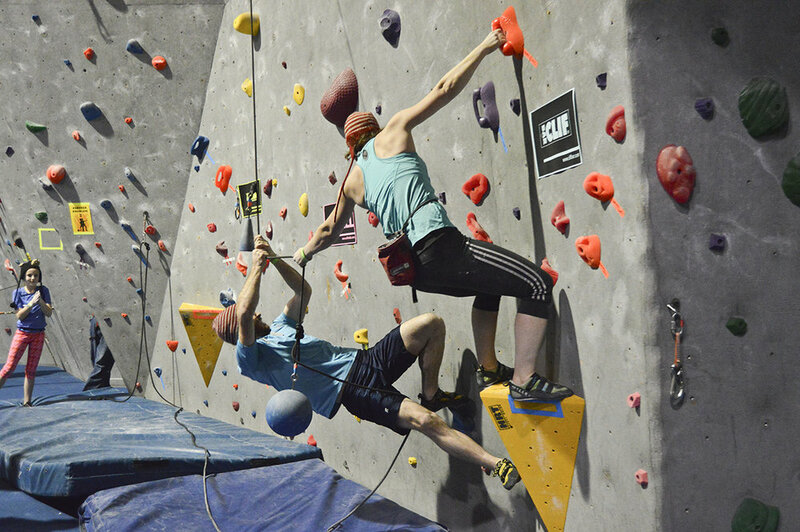 Time indicated is the sum of both partners recorded time on the new RCF speed wall.